In todays post we explore the notion about political satire and ask the question is political satire dead? R.F.Wilson is in London exploring political satire, President Obama’s uncle and life living in America. Read more humour about illegal immigrants, gun culture and the printing press with another batch of money. Find out what is funny about President Obama and the Nobel Peace Prize in response to the timing and nature of peaceful. The comedy crowd Ronald Reagan and Ed Miliband The Thick Of It, and Labour political objections. Actor Peter Capaldi played The Thick Of It's foul-mouthed spin doctor Malcolm Tucker, inspired by Alastair Campbell, a former aide in Tony Blair's government. US, UK and Saturday Night Live HIGNFY and other stuff that makes a point about whether political satire is dead or not. The Abbott government refused to bring a proposed ban on political pictures of politicians and mixing their pictures with animals and insects. The message sent serious ripples out to reporters, photographers covering stories in mainstream newspapers in their satirical stories. Anything proposed as counter culture challenging political expressionism art. News in the US has picked up on the story of political satire is dead by asking the question can nine year olds offend teachers through the use of words. These stories come and go and the satirising of these stories from places like The National Report come into contention about simply fly by plans to go viral online. One video for example created a fake story about people in India hurting people. The art of satire Ukrainian poet Taras Schevchenkob (1814, Moryntsi) declared his independence from the USSR, which helped create change in 1991. Here is a music concert of popular band from UK who paid tribute to the Ukrainian poet (New Order). 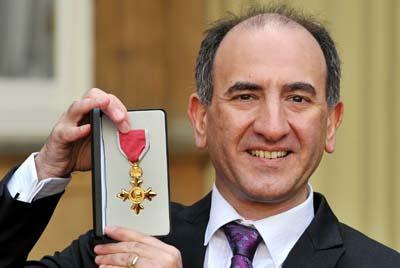 Armando Iannucci a well known political satirist in the image below shows him receiving his Order of the British Empire medal at Buckingham Palace earlier this year.Armando Iannucci helps out with a popular show that does political satire challenging the notion that 'political satire is dead' the show is broadcast in the USA HBO political satire Veep. Soon the Nelson Mandela ceremony will commence, the local tribesman are on the ready to follow up with the ancient traditions. Ted Obvious takes another look at Johannesburg and the death of the man everyone is talking about. Qunu his original town of birth will set the stage for the final arrangements.The Themba tribe are on hand to see that all the necessary procedures will be followed through. Directing the procedures will perhaps be King Buyelekhaya Dalindyebo who is inept in honouring the last rites of passage in the correct way. We have all heard about the memorial service in Johannesburg, now its time for the family to get together and after the wake there will be a low key memorial. RIP. President Barack Obama at the service called for unity and many other politicians paid their respects to Nelson Mandela. In about four days time at the Union Buildings, Pretoria there will be a christian service in remembrance of the man that everyone are talking about this week in Africa. Mandela is having both traditional and ecclesiastic ceremonies. One is to ward of evil spirits and the other stage of Mandela’s Funeral is done all in the best possible taste for the rest of the world to let go and contemplate on his life and achievements.